Daniel Ricciardella, LIUNA Local 79 member, was on his way home from work Friday night with his wife and children when they got caught in slow moving New Jersey-bound traffic on the George Washington Bridge. When the woman began to climb the rail of the bridge, Daniel realized that she was planning to jump. “I was able to grab her arm as soon as she threw herself from the rail.” Another bystander grabbed the dog as Daniel was pulling the young woman to safety. 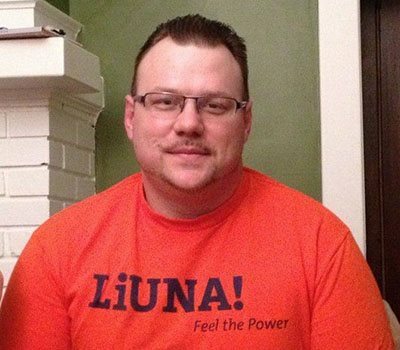 Daniel has been a member of LIUNA Local 79 for the last ten years. Read more on Daniel’s heroic efforts here.